In many years providing reactive maintenance to food retailers, one problem that came up again and again was the slimy jelly in the condensate drains. This would be revealed by leaking display chillers with back and yellow absorbent strips at the base soaking up water. What became very clear was that this problem was costing more in reactive maintenance than any other drainage problem on the whole supermarket. What compounded the problem, was the fact that most of the drain blockages occurred above ground, in the 40mm condensate drain pipes laid on the floor. The six inches between the sales floor and the bottom of the chillers was a ‘no mans land’ in reactive maintenance on supermarkets. The refrigeration engineers would say it was a drainage issue, and the drainage contractor would say it was a refrigeration problem.This was the weak link in cost management, that six inch area between the chiller, and the sales floor. I found over 15 years serving food retailers in reactive maintenance, that it was in this area that most problems occurred. It was also apparent that nobody had a clearly defined responsibility for this area, resulting in many duplicated call outs and dual attendances. Being invited as a consultant onto design teams, and value engineering groups, the challenge became trying to present this case coherently to all the stakeholders, which proved very difficult, despite having reams of client data to support the case. All stakeholders had different priorities and understandings, but all were equally impacted by the problem. Looking back it is clear to see why it was so difficult. The few retailers that were aware of the problem were using condensate drain products to prevent the drain slime, (Biofilm) what many of them didn’t know, was the products that were being used on their chillers were designed for domestic AC units, and in commercial refrigeration lasted only a couple of weeks maximum. It was difficult to convince people that the number of leaks they were having was due to biofilm when they firmly believed that they were dealing with this issue with the treatments they were using. There was always a wealth of other problems that could be thrown in the ring as culprits for the water leaks, creating a confusion around any water leak issues. “That case has always leaked” ….”All the below ground drains are the problem”…”Its ice defrosting off the pipe”…”We are due a refit anyway”….. Putting new chillers on old drains doesn’t fix the problem. I was invited onto a research and development team, by a European group, in an effort to find a non-chemical solution to biofilm in food retail refrigeration. In this research we trialled ozone generators, nano-coatings, metallurgical solutions and fluid dynamics with varying degrees of success. We also trialled all the condensate drain products that were currently available on the market over a two year period. (2008-9) It was here we concluded most products available on the market lasted only a few weeks in food retail refrigeration, and many products were not suitable for condensate pumps. We already knew the biggest cause of condensate pump failure was biofilm, so any solution must work with pumps. The R&D ended in 2011, having not found a non-chemical solution to biofilm that was appropriate for a food retail context. I was still amazed at the size of the problem and determined to find a solution. I started out approaching different manufacturers around the world looking for a development partner, pretty hard when all you have is a good idea. What I did have though, was a clear understanding of the problem, and knowledge of exactly what was required from a solution. We needed an effective condensate drain treatment that would last for one year, to suit the clients deep clean operations, pump safe, a simple to use product that was safe to use in food retail. Finding a manufacturing partner wasn’t easy, but I did find someone prepared to take a chance, I presented my case and we set about test batches, after 18 months of trials we were confident we had a tablet that lasted a year and presented it to the market in 2012. We had a new product, a safe and simple to use tablet. It worked differently to anything else on the market, relying on a tried and tested long lasting coating method as the carrier to prevent biofilm. What we didn’t know was how to market it? Wholesalers showed little interest, although they were aware of the problem, so what could we do? Trying to get a sales team and marketing experts to understand the problem would be harder than getting the stakeholders to agree on the problem…..so we relied on the problem! and the fact that we had a proven solution that worked. We didn’t, and still don’t have a sales team, we just offered a free product trial on our website and waited for people to take us up on it….and soon some did. Because we sold our product by trial, it was slow progress, each trial taking a year to complete, but what became quickly apparent was how effective the tablet was. The results were always in excess of 90%, averaging a 95% reduction in water leak call outs. Getting the results from ground level, up, was not easy in many cases, but a few major retailers quickly understood and rolled the tablets out across their whole estates. In 2016 we won the RAC Cooling Award for Refrigeration Product of the year, and in 2017 we won the HIVE Innovation Award. We still do not have a sales team, we sell direct to our users, in this way we can offer support at site level, but not only that, we can see what our customers are doing with the tablets. If the customers problems are not biofilm related, we would rather they did not use the tablet, it would risk people thinking the tablets did not work? We know that most water leaks are caused by biofilm, and once this issue is addressed, the customer can then clearly identify what other problems they may have on site, and resolve them. We love working with our customers, and we see it as key in product development. Our business model is based on a solution that works, and on helping our customers achieve cost savings, energy savings, and increasing asset life cycle….. our tablet becomes cost neutral at a very early stage in its life cycle. 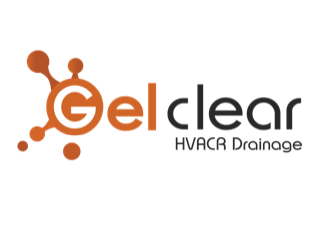 Gel-clear tablets are currently protecting 150,000 chiller units across the UK and Ireland.